Mike Bellafiore at SMB recently wrote about the value of expanding your trading network as a way to accelerate learning and performance. When traders team up and share ideas and review performance, they turn learning into a social process, which can become enjoyable and motivating in itself. Most importantly, teaming up increases our sources of learning. If I take away one valuable lesson from my trading each week, that compounds impressively over the course of a year. If I take away multiple lessons from colleagues each week, I'm now on an exponential path of growth. I notice a promising mentoring group for day traders that has formed recently: My Investing Club. Another with a long history of success is Investors Underground. Hedge fund managers have a long history of networking over dinners and drinks, sharing ideas and performance improvements. What Mike is describing takes networking to another level, where traders become an active, ongoing part of each other's processes. That occurs regularly on the NYC trading floor and has been an important source of learning and growth for developing traders. I would like to suggest a deeper reason why this networking works, and it's related to the Sweller quote above. When we team with others, we gain access to their modes of information processing. 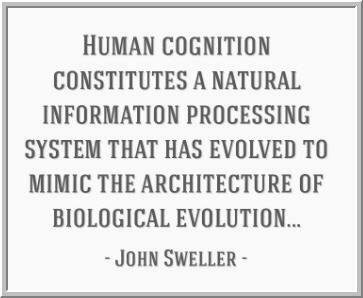 Each of us processes information in different ways, with different strengths. I may be excellent at processing market information analytically, but I can benefit from others who are well connected and sensitive to shifts in investor/trader sentiment. Perhaps I'm good at pattern recognition and reading short-term market behavior. I might benefit from another trader who is excellent at identifying bigger picture market themes. When we network with others, we process information actively and we typically do so via multiple modalities. That leads not only to broader learning, but a deeper processing of the material we learn. This works because it takes advantage of an evolutionary dynamic. We create many variations when we look at markets in multiple ways through multiple lenses. We can look at many markets and their interconnection; we can analyze markets quantitatively; we can look for repeating patterns in markets; we can look at the same markets over varying time frames. All of this expands the number of hypotheses we generate and sets us up to critically sift through these hypotheses, resulting in a greater likelihood of one good idea coming to mind. By looking at more things in more ways, we activate a kind of intellectual natural selection that results in the few great ideas, the few great trades that can make our week, our month, our year. One implication of this line of reasoning is that, as traders, we can do a much better job of networking with ourselves. This means tapping into *our* variety of modes of processing and actively engaging market information in multiple ways: seeing it, talking it aloud, writing it, studying it. Networking works, because it literally feeds our brains, creating better cognitive networks. 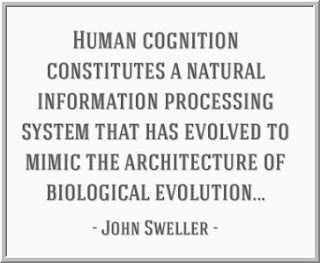 An underappreciated source of trader failure is impoverished information processing. In so many areas of life, feeding our heads can feed our bottom lines.